“Letter E is for Eric (Carle)” Week Next! 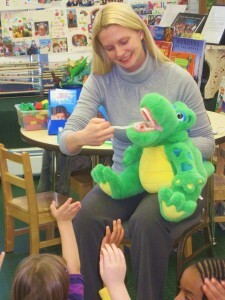 “Letter D is for Dentist Week” was dynamic, dynamite and definitely not difficult nor dangerous! The students kicked off letter D week by coming to school with dozens of D shares. These shares included animals such as dogs, dolphins and ducks, and foods such as dumplings and doughnuts. We even had a diaper borrowed from a new sibling! Fortunately, the student did not take the Letter D theme too seriously and bring a Dirty Diaper in for share! 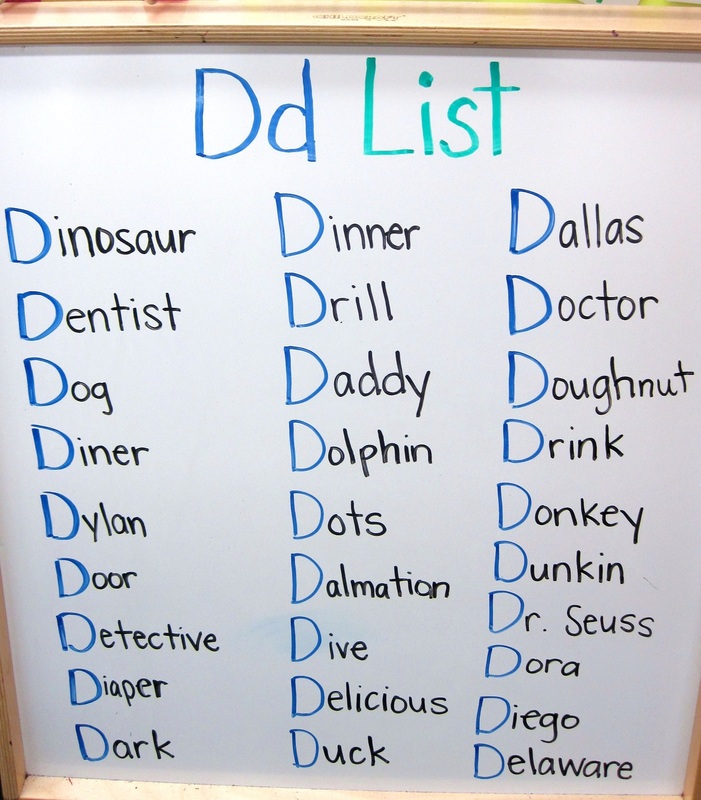 Both Monday and Tuesday began with the students completing their morning work – letter D identification sheets. 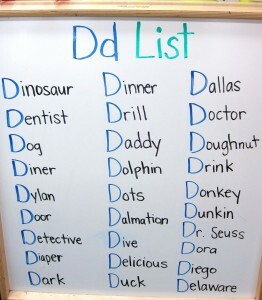 The afternoons were spent discussing letter D words. Here is the list that the students came up with. The students also had a surprise visitor come to school for letter D week- Deeno the Dino! Now, Deeno is not just a regular dinosaur, Deeno has a full set of teeth – human teeth! Just like human teeth, Deeno’s teeth need to be brushed at least twice a day! Unfortunately for Deeno, his arms are like dinosaur arms and they are just too small! He can barely get a toothbrush up to his mouth to brush! 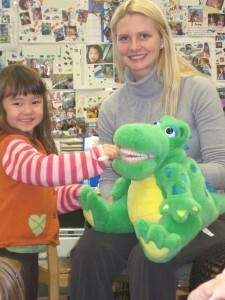 Miraculously, Deeno came to visit PPA on a week that the students were learning all about taking care of their own teeth! The students were more than ready to help Deeno brush his teeth! The students formed a line and took turns brushing the front, side, other side, and back of all of Deeno’s teeth! 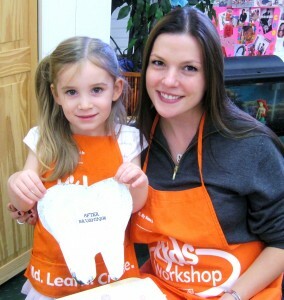 By the end of the day, Deeno had some particularly pearly whites – thanks to the PPA children of course! Wednesday’s craft was a really exciting activity for the students. The students came over to the morning work tables to find a gigantic tooth. Now, this tooth was not a regular tooth, it was an icky yellow tooth! Be sure to watch below to observe what the students did to turn that icky tooth into a beautiful and sparkling one. On Tuesday and Wednesday afternoon, the students began their color unit in Spanish class. Here is the vocabulary and song the students will be learning about over the next four weeks. Red is rojo. Green is verde. Learning them is lots of fun! 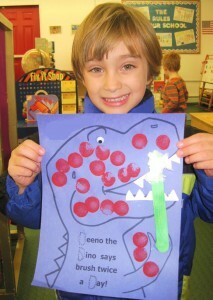 On Friday, the students crafted their very own dental hygiene dino! This dinosaur, complete with his very own toothbrush, was crafted then dotted! 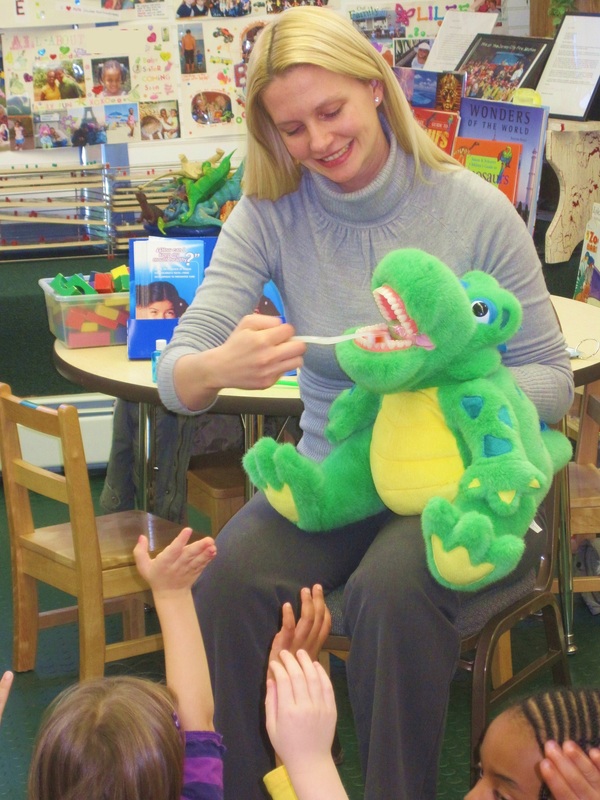 Deeno the Dino had an important daily dental reminder – Brush twice a day! 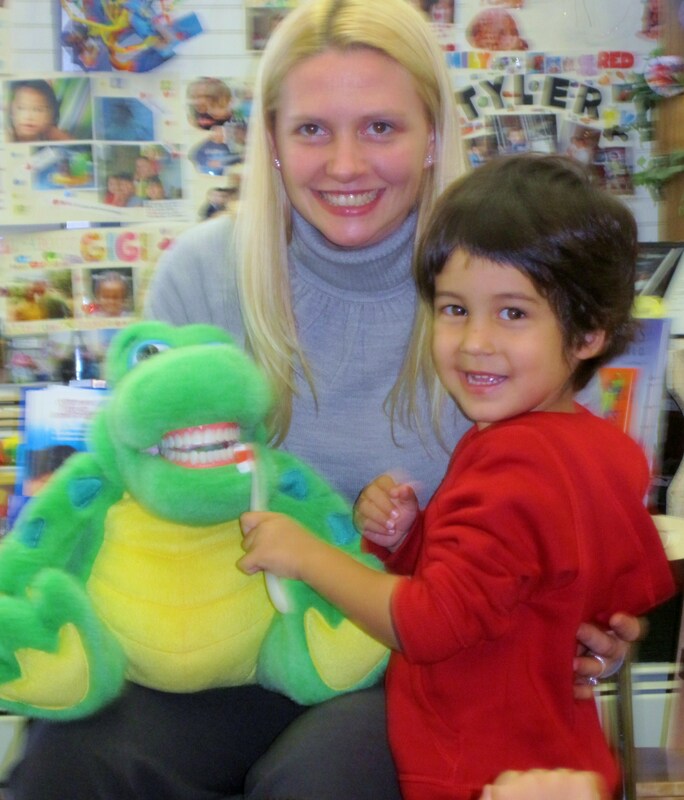 During the afternoon, the students observed and participated in a technology presentation all about dental hygiene! The students learned about why it is important to brush their teeth as well as some fun songs all about brushing shiny teeth! Click below to groove to these toothy tunes! Well, that is all for letter D week! As always, thank you for reading and have a fun and safe weekend!